Today's consumer takes great pride in their home. Keeping it clean, comfortable, and attractive requires ongoing maintenance. Foot traffic, pets, and gravity mean that carpeting and area rugs collect more dirt, hair, crumbs, allergens and spills than any other household surface. Over time, routine vacuuming and sweeping alone are not sufficient to remove stubborn stains, worn-in dirt, or embedded debris. The patented Rug Renovator from CWP Technologies is the tool consumers can use along with our Host Dry Carpet Cleaning Products to clean any carpeted area. 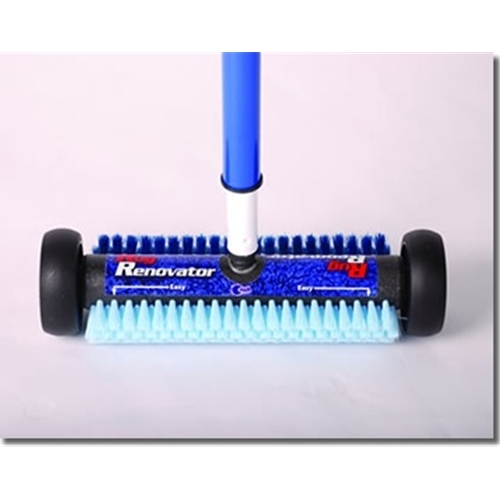 The Rug Renovator cleaning system saves consumers time and money versus having their carpet professionally cleaned. There is no need to have to bend down and scrub carpets & area rugs anymore. The growth in sales of area rugs is 7 times greater than normal carpeting. With that growth is a demand for cleaning that's both affordable and easy to use.